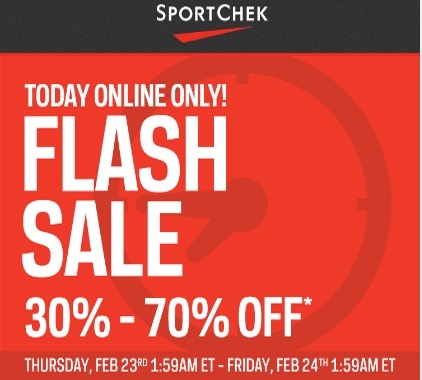 Sportchek has a Flash Sale on today! Save 30-70% off select brands! Plus get Free Shipping on your entire order. Offer is valid Thursday February 23-Friday February 24 until 11:59pm ET. Click here to browse Sportcheck.